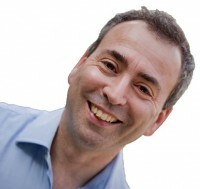 Dr Mike Clayton is a business trainer, author and speaker. Since 2002, he has been helping professionals, managers and leaders to excel in their roles with management, leadership, and personal effectiveness training. Mike has written over a dozen books for major publishers like Wiley, Macmillan and Pearson, including: Powerhouse, How to Manage a Great Project, How to Speak so People Listen, Brilliant Time Management, and The Influence Agenda. Mike's professional background is 12 years as a project management professional with the London office of international management consultancy Deloitte. Prior to that, Mike had an academic career in Physics, working at the world renowned Schuster Laboratory of The University of Manchester. Mike currently has 10 courses on Udemy, with a long list of successful seminars and training courses to convert into video format.